Every minute of every day, 31 people are displaced from their homes, seeking sanctuary from global crisis, conflict and violence. No region of the world is immune. These events can have a particularly gut-wrenching impact on children, as we’ve seen up close recently along the U.S. border. In response, Google.org is matching employee contributions to four organizations working with migrant families separated at the U.S.-Mexico border: Texas Civil Rights Project, The Florence Project, Catholic Charities of the Rio Grande Valley, and Kids in Need of Defense. Today, World Refugee Day, we’re reminded that this crisis goes well beyond our border. As displacement hits new records, it has never been more urgent to work together to find long-term solutions. Since September 2015, we’ve donated more than $25 million in Google.org grants to organizations that support refugees, including a $5 million grant last year to help the UN Refugee Agency and nonprofit Learning Equality improve refugees’ access to information and education. As part of that, we gave $2 million in grant support to the International Rescue Committee (IRC) and Mercy Corps to create Refugee.Info, a simple set of web pages with helpful information for refugees as they establish new lives in new locations. This past April, Google designers, and engineers collaborated with the IRC on a soon-to-be-released next version of the platform based on human-centered design and adapted into Arabic. The tool currently serves 800,000 refugees in five countries. 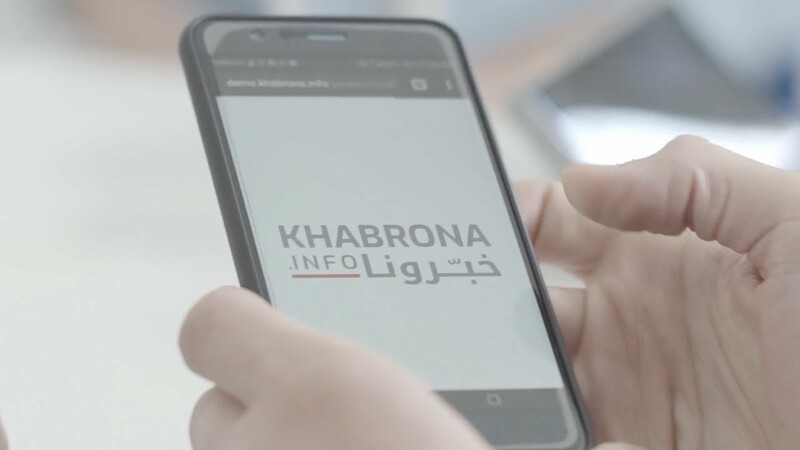 With the expansion into Jordan, thousands more refugees will have access to timely and accurate information. Last month another group of 10 Googlers traveled to Jordan to improve and expand Edraak, an Arabic-language online learning platform created by the Queen Rania Foundation. With support from a $3 million Google.org grant, Edraak has already reached over 1.6 million learners across the Middle East and North Africa. Now, it hopes to reach 13 million children in the Middle East who have limited access to education, including refugees. 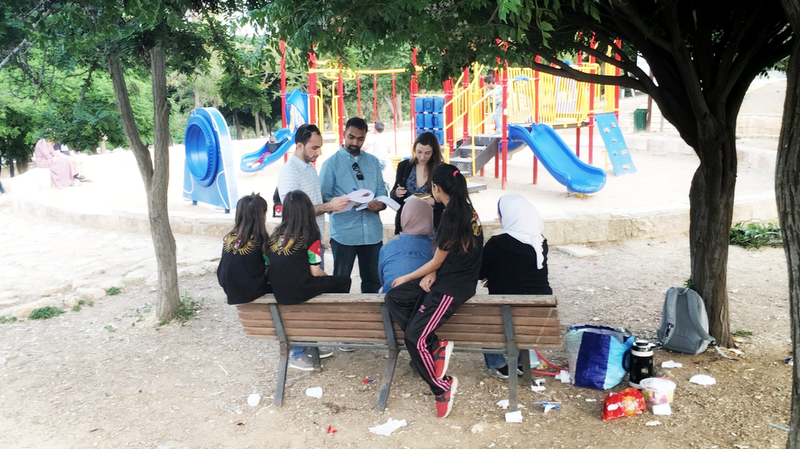 Googlers (Tejas Peesapati and Nadja Dudek) and Edraak staff meet with children at a park in Amman, Jordan to learn more about what they need in terms of educational resources. This week has brought a stark reminder of the consequences of displacement for the world’s most vulnerable populations, particularly for children. As we continue our work to help migrants all over the world, we also hope for a more humane way to ensure that children, at the U.S. border and elsewhere, can reach a more promising future.